Top Grand Canyon Locations You Must Visit! The Grand Canyon is a popular vacation destination for people all over the world. It is located in the north part of Arizona, and covers over 1,900 square miles of land. The Colorado River runs at the bottom of the canyon and carved out the dramatic landscape. The rim of the Grand Canyon is divided into three areas: the South Rim, the North Rim, and the West Rim. Each rim offers you a different perspective of the Canyon. 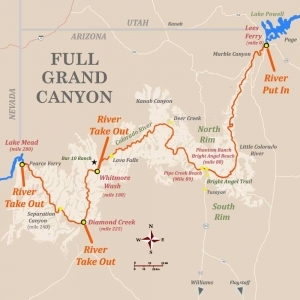 Choosing which Grand Canyon locations to visit will depend on what you want to see. The South Rim is by far the busiest and most popular section. It is the at the center of Grand Canyon National Park. This is where you will find Grand Canyon Village which was designed to provide amenities to the tourists. You can find deluxe accommodations, shops, and an abundance of tour operators who are ready to take you on an unforgettable adventure. There are many museums and visitors centers that are home to a number of exhibits and where tourists can get more information about activities in the park. The South Rim offers spectacular views of the Colorado River below as this side is the closest to the river. This rim is well traveled, with an abundance of vista points and trails going down the Canyon. This is where you can ride a mule down the Canyon. Along this rim, you can see ruins of the ancient Anasazi Indians. The South Rim is open year-round, although some roads may be closed during the winter due to snow. The North Rim is not as popular as the South Rim. Many tour operators do not provide tours of the North Rim, so people who want to see the North Rim usually drive themselves. You get a different type of view from the North Rim. 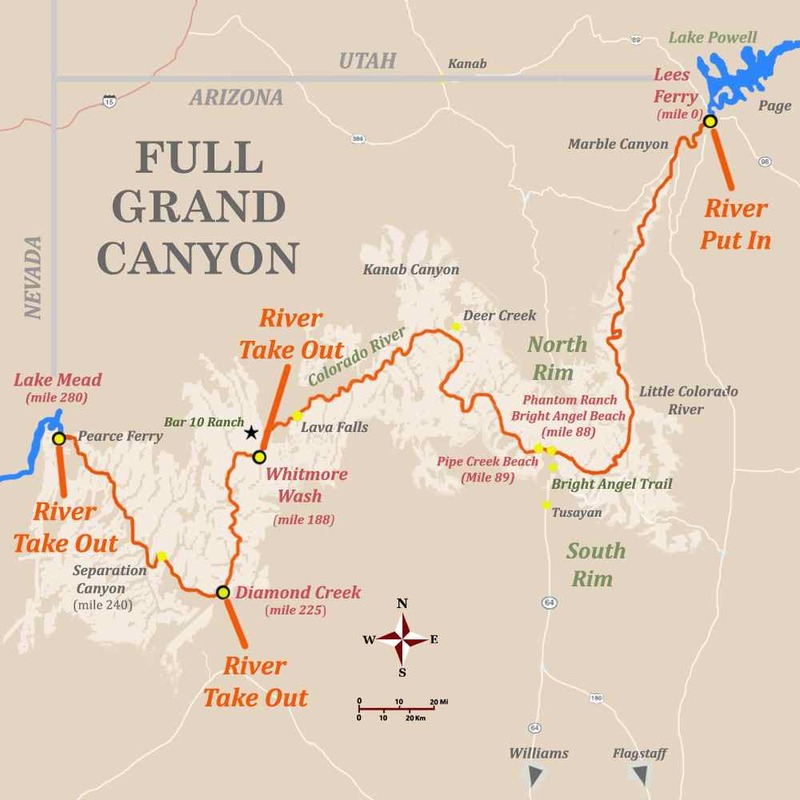 Instead of seeing the Colorado River below and the tremendous depth of the canyon, you see the spread of the canyon. It is about 1,000 feet higher in elevation than the South Rim, so it is considerably colder. During winter, the North Rim is blanketed with snow. Because of this, it is closed after the middle of October and is not reopened until May. There are not as many amenities for the tourists, so the North Rim tends to be less crowded. The West Rim is the closest to Las Vegas. You can drive there from Las Vegas in a couple of hours. This is where you will find the Skywalk. This a walkway made of glass that is shaped like a horseshoe. It extends over the Grand Canyon so you can see the canyon floor directly beneath your feet. Facilities for tourists are limited. Technically, the West Rim is not part of the National Park Service because it is on a reservation owned by the Hualapai Indians. Grand Canyon locations can be quite different depending on what you want to do. Less amenities means less crowds, but you will have to determine if that is a compromise that you want to make. As a final tip, you can consider downloading Grand Canyon National Park app which provides a lot of info about attractions and activities. While you are enjoying the beautiful scenery, these is no better way than to look at it than by the river. Book an exciting rafting trip with us today!